Comissioned by Festival Tremor 2018, in the island of S. Miguel, Azores, we conceived, developed and presented the performance Som. Sim. Zero, with a local deaf and hear impaired organization and guest musicians. In 2019, we are comissioned to work with last year’s friends plus the Escola de Música de Rabo de Peixe. Tremor’s 2019 edition has come to an end. We leave S. Miguel with our hearts in this project, in this people, in this music. This photoghaph by Paulo Pimenta sums up the beggining and the end of everything. Rodrigo, attending one of the concerts, hands on the PA, listening to music. So many layers, so many memories, so many beautiful readings, that is better to leave it like this, no more explanations.Thank you Paulo, for this photo and for all your work; You were more a catalyst of good things than a photographer and that’s beautiful. We should thank the generous people that worked with us, the amazing musicians from this and last year (thanks for so many things), everyone at Asism Açores and at Escola de Música de Rabo de Peixe, everyone we crossed paths with and that facilitated it all. “No man is an island”. Thank you Luis, Antonio, Márcio and Joaquim, for the invitation, for the trust, but also for your tremor. Please know that is special and unique what you created here and that is seen and felt. For us, tremor still is the most beautiful message Azores ever lay down to the sea, in anual bottles. A hug (another one) to the marvellous Rachel Korman, Rubén Monfort and Gui Garrido, that always put such a good feeling in what they do, that the feeling spreads and grows. Extensible to all at the tremor family. People in this for the right reasons. A special hug to our Samuel, partner of this and other projects, lover of smiles and cows lying down and whole body musician. To do what we love, in special places, with special people, always results in this mix of commotion and tenderness. That entrenches. 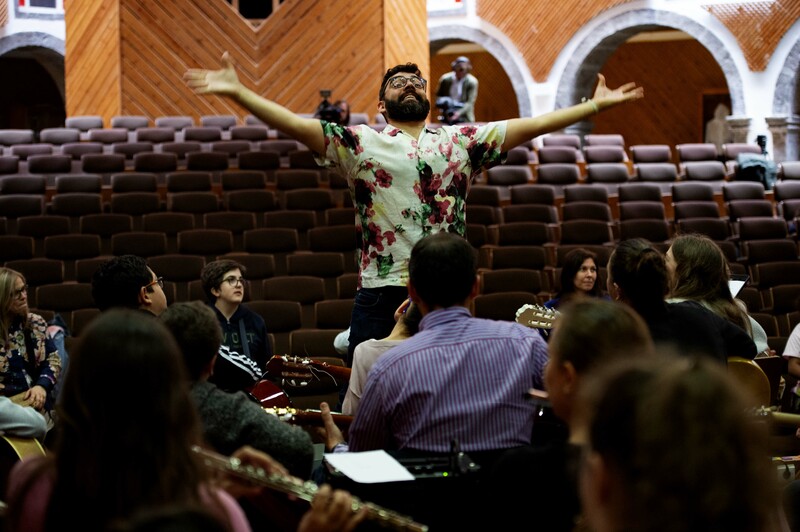 This was a very intense creative week with Associação de Surdos de S. Miguel, Escola de Música de Rabo de Peixe and a set og amazing musicians from the Azores islands. Tremor is this special place and moment and we’re thankful to be part of it. Thank you António Pedro, Kitas, Rúben, Rachel and all at tremor’s sweet team. Special thanks to Samuel Coelho, for all the work and talent, and Paulo Pimenta for what he is and what he’s been doing for the project, with these people. 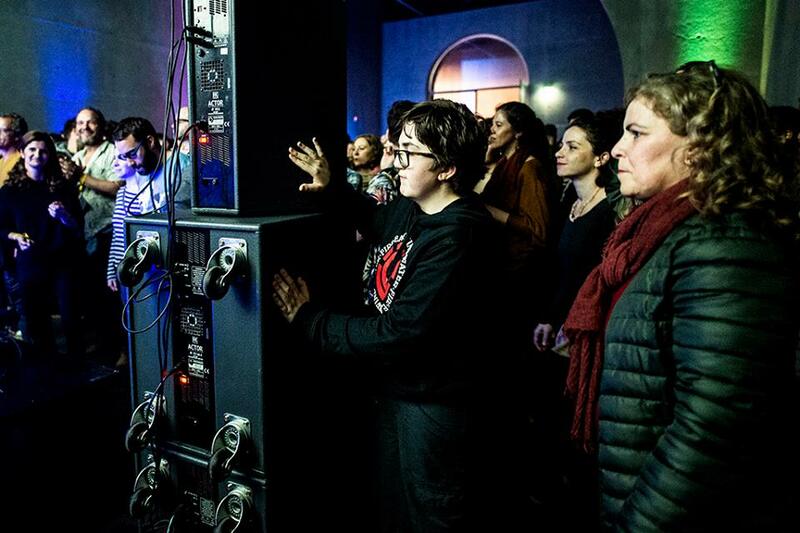 Tremor 2019 – first workshops! Ondamarela was this weekend conducting the first workshops to create the opening concert of Tremor 2019. 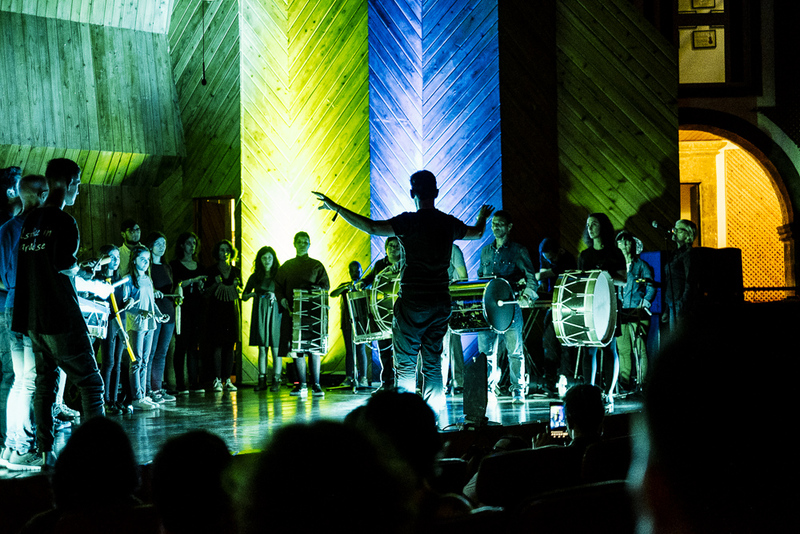 We worked with the wonderful Music School of Rabo de Peixe and with our dear ones of “Som.Sim.Zero.”, from last year. S. Miguel island continues to be beautiful! After last year’s moving moments, the music, the people, the sweet and beautiful energy, we had the plaisir to be invited, again, to work on the best festival on the planet. Come and see this, really. A short video by the tremor team, here.